We goin' to New Orleans! Next week I'll be attending the 2013 Ponderosa Stomp, billed as a celebration of the unsung heroes of American music. 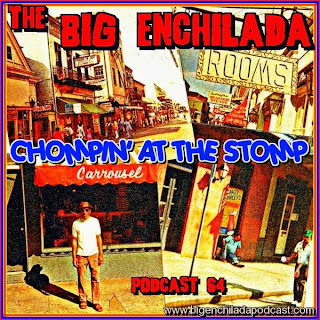 In anticipation of that, this episode -- following some of the crazed rock 'n' soul you expect from The Big Enchilada, will feature a rollicking tribute to the stars of The Ponderosa Stomp. Stomp on!